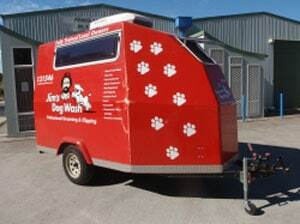 Advanced Fibreglass Techniques have worked with a range of commercial clients including refrigerated Semi trailers, refrigerated vans for transporting perishable goods and onsite repairs at Mawson Lakes University and other commercial vans, buses, trailers, tractors and trains. From commercial fibreglass repairs to manufacturing fibreglass parts to lining vehicles with an inner fibreglass shell. If you require your commercial vehicle body to meet your refrigerated transportation solutions we can provide your commercial vehicle body with a fully lined and insulated if required, fibreglass inner shell. This provides you with a low maintenance, hard wearing, hygienic and easy to clean environment for transportation of goods. Manufacturing and repairing of commercial body kits, truck bonnets, guards, refrigerated vans and trucks, replacement panels, trailer floors, nose cones, wind deflectors are among the services we can offer. Fibreglass repairs can be carried out on the inside of refrigerated vehicles with damage caused by general wear and tear to doorways and floors from loading and unloading pallets of goods. Having repaired the floors of various semi-trailers using chopped strand matt combined with woven rovings instead of just using chopped strand matt, we have added significantly to the lifespan of each of the repaired vehicles our clients have presented. Vehicles damaged in on road accidents can also have the outside repaired using fibreglass and then have a brushed flowcoat finish or brought back to an as new condition with filling and fairing, then using colour matched 2 pack urethane paints giving a high gloss finish. The Advanced Fibreglass Techniques team provide fibreglass moulds which can be manufactured for when replacements parts are needed, for various vehicles from semi-trailers to tractors. We have made fibreglass moulds from glass windows for tractors so that perspex windows can then be made greatly reducing the shipping and replacement costs. Moulds can be made from existing parts or made from plans by creating a plug which is an exact replica of the required finished product. We can also manufacture parts from customers’ existing moulds, build one off products possibly without the need to build a mould or do short production runs using temporary moulds. Advanced Fibreglass Techniques hand lays all of our parts and moulds to guarantee thickness and consistent resin and fibreglass ratios. This gives our customers the strongest possible laminate with minimal wastage. Our fibreglass moulds are made using Tooling Gelcoats and Resins (where required), giving you a higher quality, more durable and a longer lasting mould. Using Tooling Gelcoats and Resins ensures less shrinkage and it will outlast conventional tooling methods of using chopper gun, polyester resins and gelcoats. Also when required plywood and steel framing can be used to strengthen and support the fibreglass moulds to give a more stable longer lasting mould for high production runs. We repair manufacture extensive products for our diverse clients in fibreglass and fibreglass composite products for the industrial, commercial, marine and recreational vehicle spaces. We achieve our fibreglass manufacturing, repair and environment goals by using best practices in the commercial fibreglass manufacturing industry. Our capabilities extend to design and engineering of moulds and plugs, fibreglass and composite component manufacturing. Our products are designed in collaboration with our mining, industrial, commercial, recreational or marine customers to meet their very specific needs. 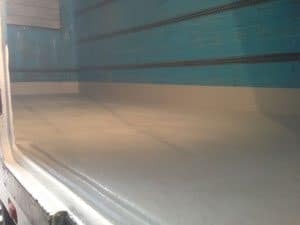 We can provide our customers with unsurpassed quality in commercial fibreglass manufacturing and repairs across a number of industries, meeting and exceeding client expectations as a priority. We supply quality service, products and workmanship for which we are well known. For all of your commercial fibreglass needs, contact the team who can provide a one stop service!